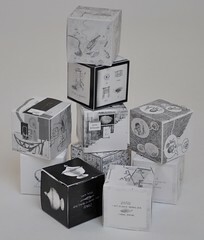 Proboscis has recently introduced a new medium size StoryCube (82x82x82mm) to complement the original size (55x55x55mm) and our custom exhibition size (228x228x228mm). 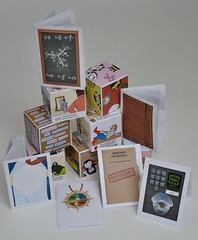 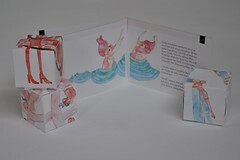 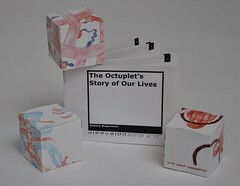 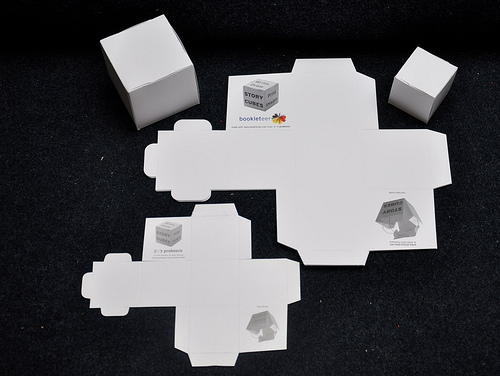 The small and medium sizes are available both a blank cubes to buy in the online store and as templates in bookleteer for creating personalised cubes. 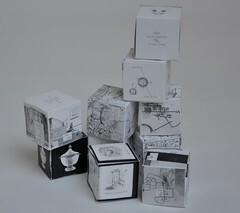 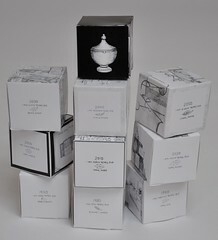 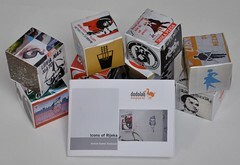 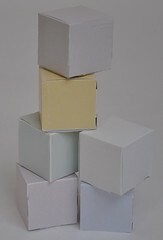 The exhibition size cubes can be ordered as custom items – please contact us for more information.